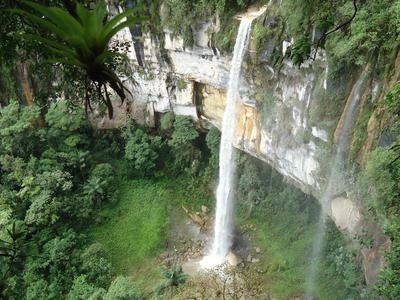 I have worked in Amazonas during ten years very near Yumbilla , Gocta and Chinata Waterfalls. The three of them carry plenty of water for more than 6 months per year, I could afirm that at less 8 or 10 months plenty of water. Those 3 waterfalls born from the same mountain and it amount of water is similar in any time of the year,because the rains are the same for all of them.